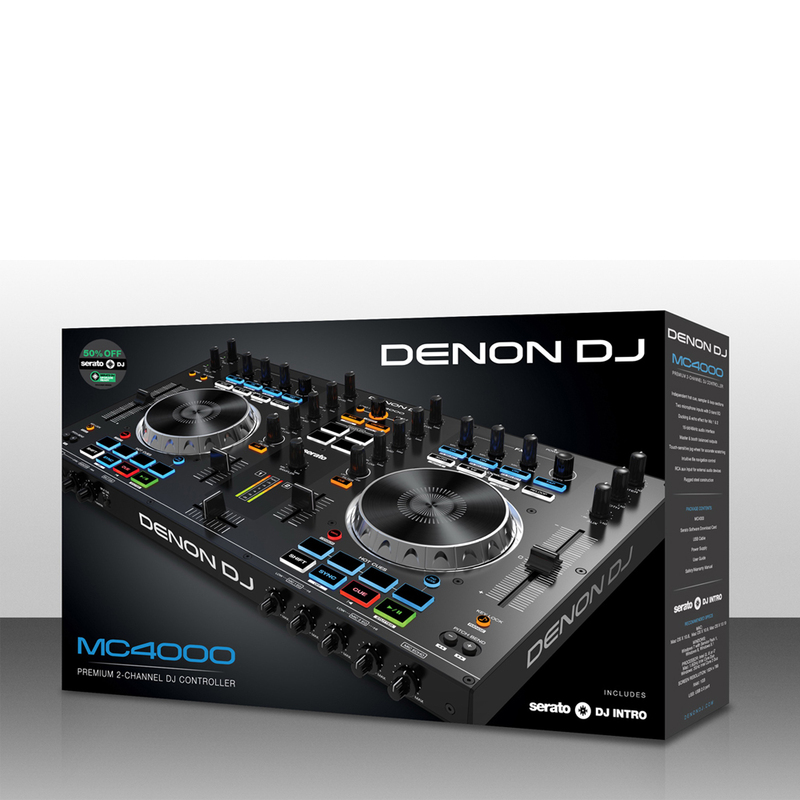 The MC4000 is a 2-deck Serato DJ controller for professional DJs. 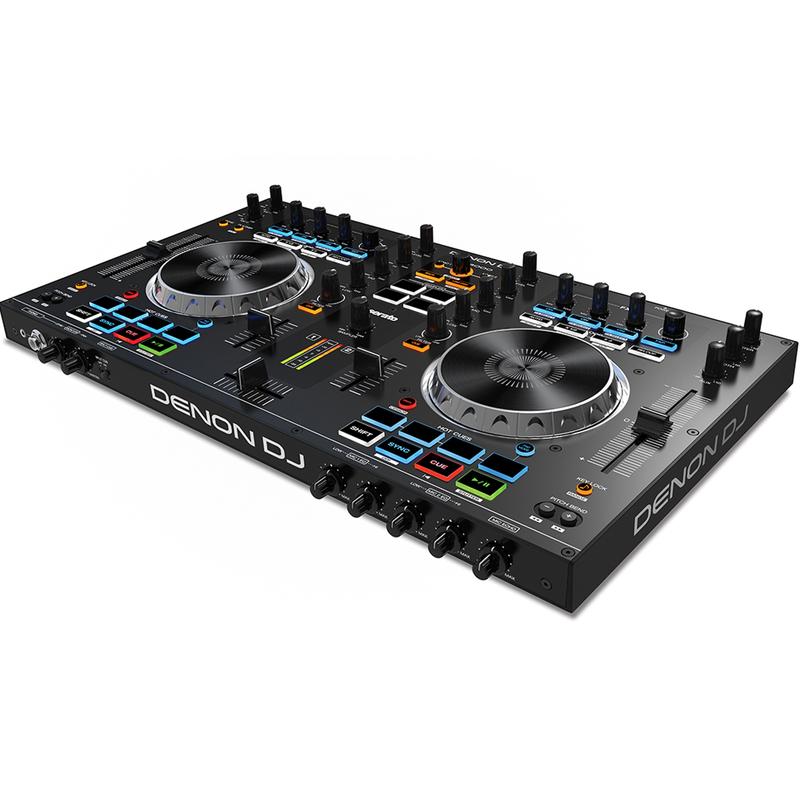 This premium controller from Denon DJ combines in-demand audio manipulation tools and high sound quality with a sleek design. Pro-grade steel construction ensures long-term durability. Long-throw 100mm pitch faders and an intuitive control layout deliver natural operation when balancing complex set elements. Additionally, the MC400 features touch-activated jog wheels for accurate scratching and track cueing, as well as dedicated Hot Cue and sample pads with illuminated feedback for on-the-fly creativity. The MC4000 puts a special emphasis on usability and features a spacious control layout for an optimised workflow – all pads are directly accessible and grouped into logical, intuitive groups. 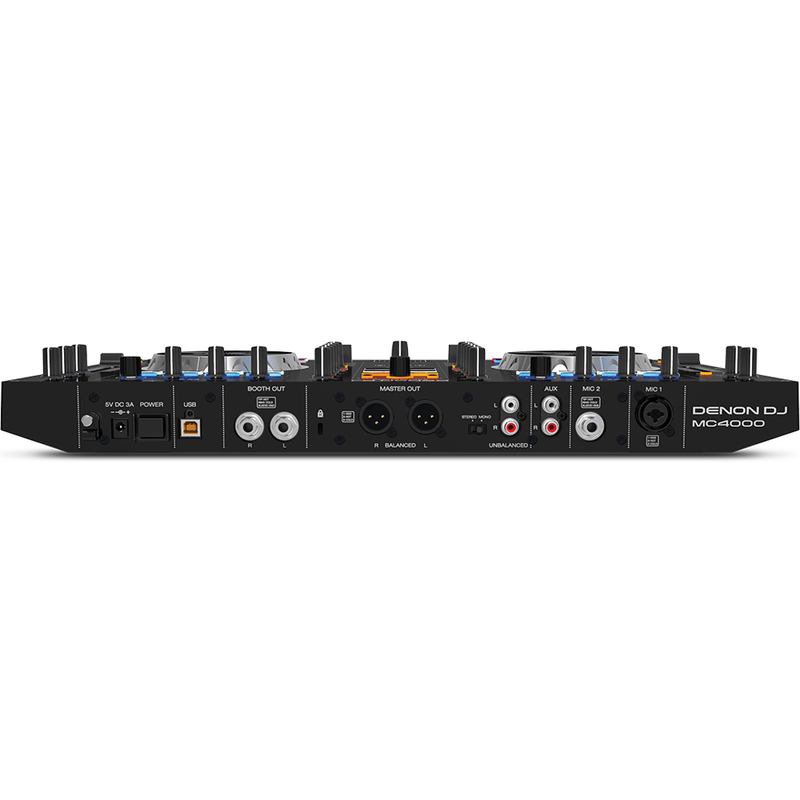 The MC4000 includes a premium 24-bit audio output path for noticeably clearer mixes. Denon DJ's highly regarded dual microphone inputs are complemented by a studio-grade Echo effect and Ducking feature. In addition, each microphone input has its own 2-band LF/HF EQ for exact sound customisation. An RCA Aux input is provided for external device mixing. There are Balanced Main Outputs and Balanced Booth Outputs that allow for connecting to local monitor speakers, and feature independent level controls. 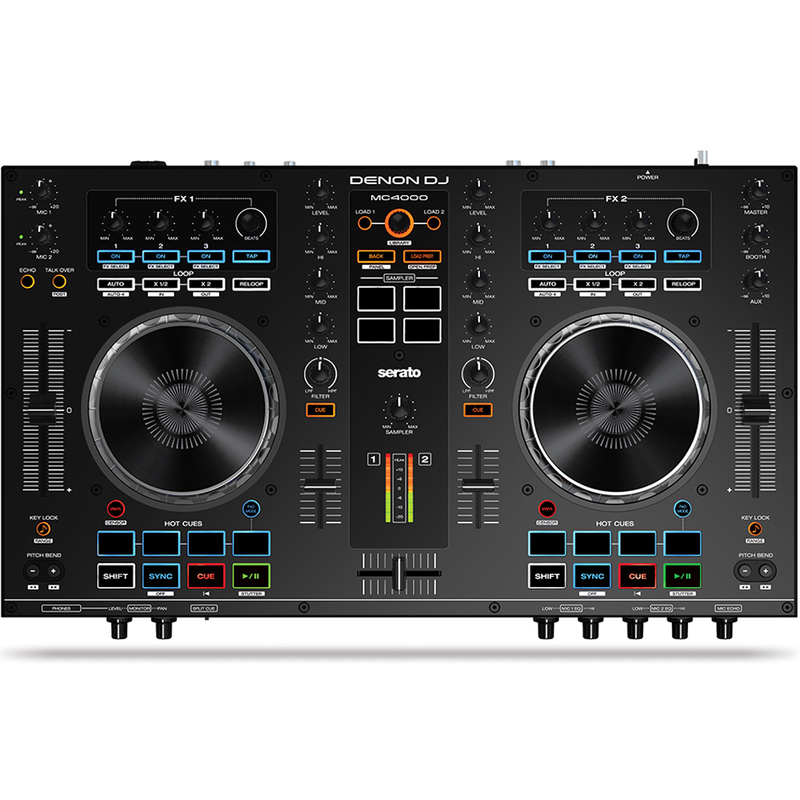 The MC4000 includes Serato DJ Lite and is user-upgradable to full Serato DJ. 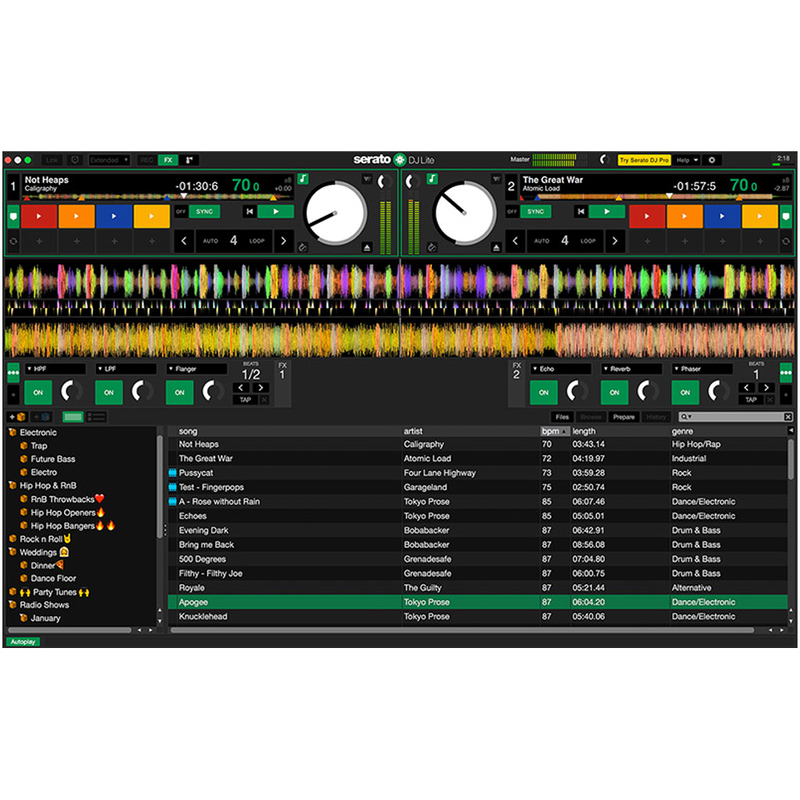 It’s also compatible with Traktor 2, Algoriddim djay Pro and Virtual DJ 8, as well as any other DJ application that supports MIDI mapping, so DJs can use their favourite programs and customise their performance according to their personal style and the requirements of the situation.